Comprising eight classes of 2.5 hours, plus free attendance to all our Spanish language asana classes, the language course will prepare you to communicate effectively in Spanish during a yoga class. It is estimated that over 400 million people in the world speak Spanish as a native language, putting it second behind Mandarin and ahead of English in the rankings. It can be a huge competitive advantage to be able to work bilingually. Not only can you cater to the Spanish speaking population in your own country, but you can travel and work in Latin America, where yoga is just beginning to explode, or in Spain - a wildly popular yoga-tourism destination, with many well-established studios. 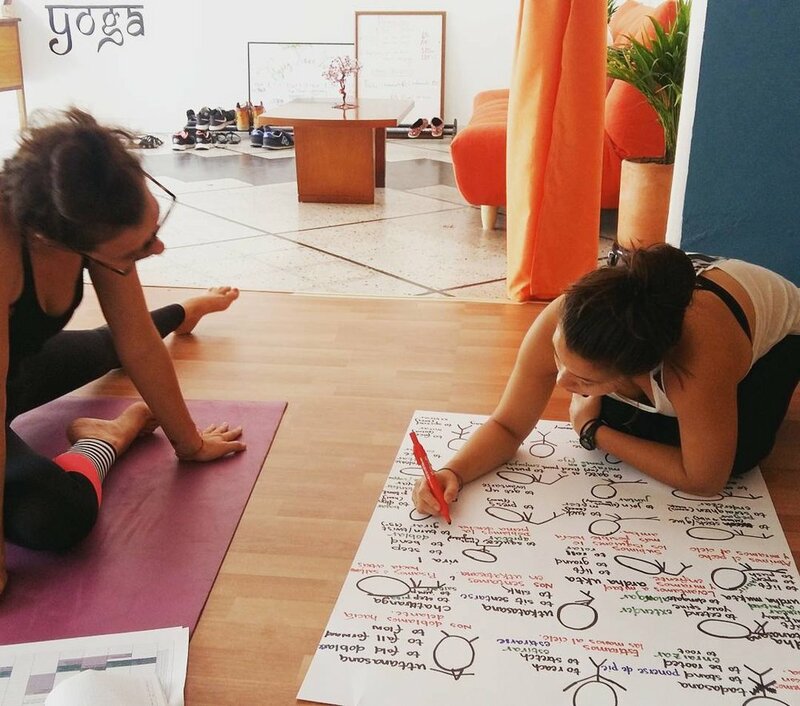 So join us for this fun, interactive and practical course to get you started with your career as a Spanish language Yoga teacher! As part of the requirements of the Yoga Alliance, all registered yoga teachers should complete a minimum of 30 hours of yoga training every 3 years. You are entitled to use the time you spend studying in our language course towards this total. For more information about how to log these hours, please get in touch. Check out our interview with three of our language students from the April course!